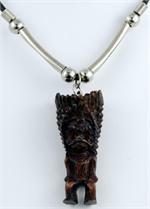 We are the place to shop online for all things tiki! We have tiki statues, tiki masks, as well as other tiki decorations for your home, office or party. Hawaiian tiki decorations are pleasing to the eye and custom décor elements that add interest to any room or space.